We’re excited to announce our final event for 2018. Mark your calendars for Saturday, November 3, for our Writers’ Process Night, featuring Camille Guthrie and Peter Orner. We’ll be back in the beautiful Open Door Workshop in White River Junction, where we held our very first event, the Mud Season Salon. There will be live music by Laura Jean Brinkley to open up the evening, a “biscuit bar” (yes, you read that right!) with all of the fixings, and an in-depth conversation with two writers talking about their work and writing process. Books will be available from The Yankee Bookshop in Woodstock, Vermont. Tickets are $5 in advance and space is limited. If you’d like to join us, please get your tickets early! We can’t wait. For all of the details, please visit the Writers’ Process Night page . October means it’s time for our final Slow Club Book Club selection of the year—a memoir. If you want more details, visit our Slow Club Book Club page to see what we’ve read this year and to sign up for the SCBC newsletter. Read along with us at your own pace. It’s never too late to join us! Have you visited our blog lately? We have some exciting new content up for your reading pleasure. Ray Keifetz, who we interviewed earlier in the year, is back with a new poem and a book recommendation on video. And we’ve published our conversation with the wonderful Ivy Schweitzer about her project, “White Heat,” a blog that chronicles Emily Dickinson's creative life and poetry week by week for the crucial year 1862. Read part 1 here, and part 2 here. The Vermont Humanities Council’s 1st Wednesdays Lecture Series begins this month and will continue through late spring 2019. There will be lectures about E.B. White, Zorah Neale Hurston, Vincent Van Gogh and the books he read, Charles Dickens, Willa Cather, Sir Arthur Conan Doyle, Thoreau, Emily Dickinson, Langston Hughes, Chaucer, Robert Penn Warren, Ta-Nehisi Coates, James Agee, and William Wordsworth. Plus talks/readings by authors such as Katherine Paterson, David Macaulay, Reeve Lindbergh, DeRay McKesson, Chris Bohjalian, and David Sanger. Visit the Vermont Humanities Council’s 1st Wednesdays page for the full schedule. Dartmouth College’s Neukom Institute for Computational Science is presenting its inaugural Literary Arts Awards on Monday, October 1. The three winning authors will participate in a panel discussion hosted by the contest’s principal judge, Maria Dahvana Headley. The event will be held in Filene Auditiorium in Hanover, New Hampshire, from 4:00 to 6:00 pm. As part of Manchester’s “One Book, One Manchester” citywide reading program, Mohsin Hamid will be at the New Hampshire Institute of Art in Manchester, New Hampshire, on Tuesday, October 2 from 7:00 to 9:00 pm for an onstage interview and audience Q&A. Hamid’s book, Exit West, is the book selected for this new annual event. Matthew Olzmann and Justin Bigos will be reading at the Vermont College of Fine Art’s Cafe Anna in Montpelier, Vermont, on Friday, October 5 at 5:30 pm. On Saturday, October at 4:00 pm, Chaya Bhuvaneswar will be at The Vermont Book Shop in Middlebury, Vermont, in conversation with Sue Halpern about Bhuvaneswar’s debut book of short stories, White Dancing Elephants. Kathleen Alcott reads as a part of Bennington College’s Literature Evenings on Wednesday, October 10 at 7:00 pm in Franklin House on the Bennington campus. Her new novel is forthcoming from Ecco in May of 2019. October is for the Bs! We have the Brattleboro Literary Festival (October 11 to 14) and, further afield, the Boston Book Festival (October 13). The Brattleboro Literary Festival features author readings by Stephen Greenblatt, Maria Hummel, Dorothea Lasky, Jenny Xie, and about 50 others; open readings; and other literary events in venues all around Brattleboro, Vermont. The Boston Book Festival, which takes place at locations around Copley Square in Boston, Massachusetts, features readings by Kate DiCamillo, Doris Kearns Goodwin, Tayari Jones, Michael Pollen, Adam Silvera, and many more. On Sunday, October 13, at 7:00 pm, Micah Perks reads from her new book of short stories, True Love and Other Dreams of Miraculous Escape, at Water Street Bookstore in Exeter, New Hampshire. If you can’t make that date, you have another opportunity to hear Micah read at 7:00 pm Wednesday, October 17, at the Norwich Bookstore in Norwich, Vermont. 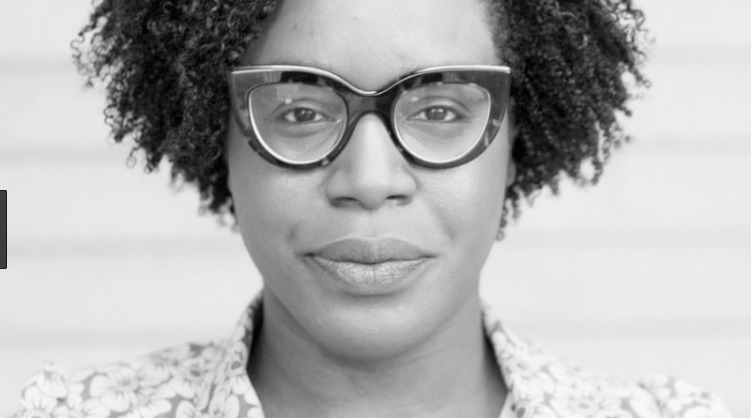 The fall Poetry at Bennington series begins on Wednesday, October 17, with a reading by Dawn Lundy Martin at 7:00 pm at the Tishman Lecture Hall on the Bennington campus. The second event in the series, featuring poets Daniel Borzutzky and Rachel Galvin, will be held on Wednesday, October 24 at 7:00 pm. Howard Mansfield will present his new book, The Habit of Turning the World Upside Down, at Gibson’s Bookstore in Concord, New Hampshire, on Wednesday, October 24, at 5:30 pm. Lesley Arimah and Diana Goetsch will read at the Vermont College of Fine Arts in Montpelier, Vermont, on Friday, October 26, at 5:30 pm. Andre Dubus III will be reading at The Music Hall Loft in Portsmouth, New Hampshire, as part of the Writers in the Loft series. The reading on Friday, October 26 at 7:00 pm is a ticketed event ($42 for members; $40 for non-members), which includes a reserved seat, a copy of his book (Gone So Long), a bar beverage, the presentation, Q&A, and book signing meet-and-greet. Literary North favorite, Alexander Chee, will be at Baker-Berry Library at Dartmouth College in Hanover New Hampshire on Wednesday, October 28, at 4:00 pm. He’ll be reading from his fabulous book of essays, How to Write an Autobiographical Novel. Akwaeke Emezi and Allison Janae Hamilton will be in conversation about Emezi's debut novel, Freshwater, at Mass MoCA in North Adams, Massachusetts, on Thursday, October 11 at 6:00 pm. For more information, please visit the Mass MoCA website. “Before You Became Improbable,” an immersive journey through the Dickinson-Higginson correspondence, is happening in Amherst, Massachusetts, from Wednesday October 3 through 6. “Before You Became Improbable” is a “walking theatrical journey throughout downtown Amherst, en route to the Dickinson Museum grounds. Tickets are $15 to 35. For more information, please visit the Emily Dickinson Museum website. The new editor of The Paris Review, Emily Nemens, on the Think Again podcast, talks about her plans for the literary magazine. We always enjoy listening to Literary Friction. The recent episodes with Olivia Laing and Ottessa Moshfegh are not to be missed. Do you like to make comics? Do you want to hone your visual storytelling skills? What will your graphic novel look like? Find out at an ongoing Comic-Making workshop this fall. Learn the basics of sketching, story-boarding, paneling, shading, lettering, inking and more! Join Professor Michael Chaney for this weekly workshop. The workshop will run from 6:45 until about 7:30 pm, and will be held every Tuesday evening in Sanborn House on the Dartmouth College campus in Hanover, New Hamsphire, until the end of the Fall term. For more information, please visit the Workshop page. The New Hampshire Institute of Art is accepting submissions from new and emerging writers for its 2018 Writing Award. They are looking for writing in any genre that successfully tells a story with innovation and purpose (a familiar story told with unexpected tools and techniques; a new story told in a traditional way). Pieces that speak to the theme “The Rest” (the space between things: “negative space” in a work of visual art; a narrative pause in literature, comedy, or drama; the literal rest in a musical composition) are encouraged, but not required. The deadline is October 31. For more information, please visit the NHIA 2018 Writing Award page. The Vermont Writers Prize, sponsored by Green Mountain Power and Vermont Magazine, is a statewide contest honoring the legacy and passion of Vermont author Ralph Nading Hill, Jr. The contest is open to all Vermont residents, amateur or professional. Your piece may be an essay, a short story, a play, or a poem. It must, however, be about one central topic: Vermont. Entries must be unpublished and 1,500 words or less. The winner will be selected by an independent panel of judges, will receive a cash prize of $1,500, and have his or her piece published in Vermont Magazine. The deadline is November 1. For more information, please visit the Prize page. Sundog Poetry Center is accepting registrations for the Fifth Annual Retreat at Fielder Farm in Huntington, Vermont, from November 2 to 4. Tuition is $100 to $350. A deposit of $100 is required to secure your place. For more information and to register, please visit the Retreat page. Bloodroot Literary Magazine is now accepting submissions of poetry, fiction, and non-fiction through December 31. Guidelines are available on the Bloodroot website. The Frost Place is now accepting submissions for their annual Chapbook Competition. The competition is open to any poet writing in English. The submission fee is $28. Submissions will be accepted through January 5, 2019. For more information, please visit the Chapbook Competition page. Sundog Poetry Center is hosting the "Share Your Heart, Share the World" event in Burlington, Vermont, with a poetry workshop for adults on October 8, and a student intensive on October 9. The guest poet is Chard deNiord. For more information please visit the Event page. Registration is open for the annual Northern Woodlands Conference, held October 12 to 14 at the Hulbert Outdoor Center in Fairlee, Vermont. This year’s conference features keynote speaker Bryan Pfeiffer, and plenary speakers Ben Cosgrove, Erica Heilman, and Jerry Jenkins. Registration is $240 to $425. For more information, please visit the Conference website. In horror fiction, it’s the writer’s ability to craft suspense that keeps us turning the pages. But what exactly triggers a feeling of dread in life and entertainment? In this three-hour writing workshop, “A Sense of Dread,” horror author Douglas Wynne examines strategies for crafting suspenseful scenes. The workshop, sponsored by The New Hampshire Writers Project, will be held at the The Ford House on the campus of SNHU in Manchester, New Hampshire, on October 27, from 1:00 to 4:00 pm. $65 for NHWP members; $80 for non-members. For more information, please visit the NHWP Workshops page. On October 28, The New Hampshire Writers’ Project is hosting a Critique Speed Match Up. This event, which works similar to a speed dating event, will help you meet many potential critique partners in one evening. The workshop will be held at the The Ford House on the campus of SNHU in Manchester, New Hampshire, on October 27, from 12:00 to 4:00 pm. All attendees must register in advance. For more information, please visit the NHWP Events page. Join poet Karla Van Vliet for her online workshop, “Dreams as Source” for four weeks, beginning October 22. The fee is $160 for all four sessions. The enrollment is limited to eight participants. For more information, please visit the Workshop page. NaNoWriMo too easy? Become a Centurion by earning 100 poetry, essay, or short-story rejections in twelve months. Lead by R. W. W. Greene, this two-hour workshop hosted by the New Hampshire Writers’ Project will “take you through the steps of submitting your work, the mystery of rejectomancy, and the best methods of recuperation from a ‘thanks but no thanks.’” The workshop will be held on November 17, from 1:00 to 3:00 pm at The Ford House on the campus of SNHU in Manchester, New Hampshire. $50 for NHWP members; $75 for non-members. For more information, please visit the NHWP Workshops page.